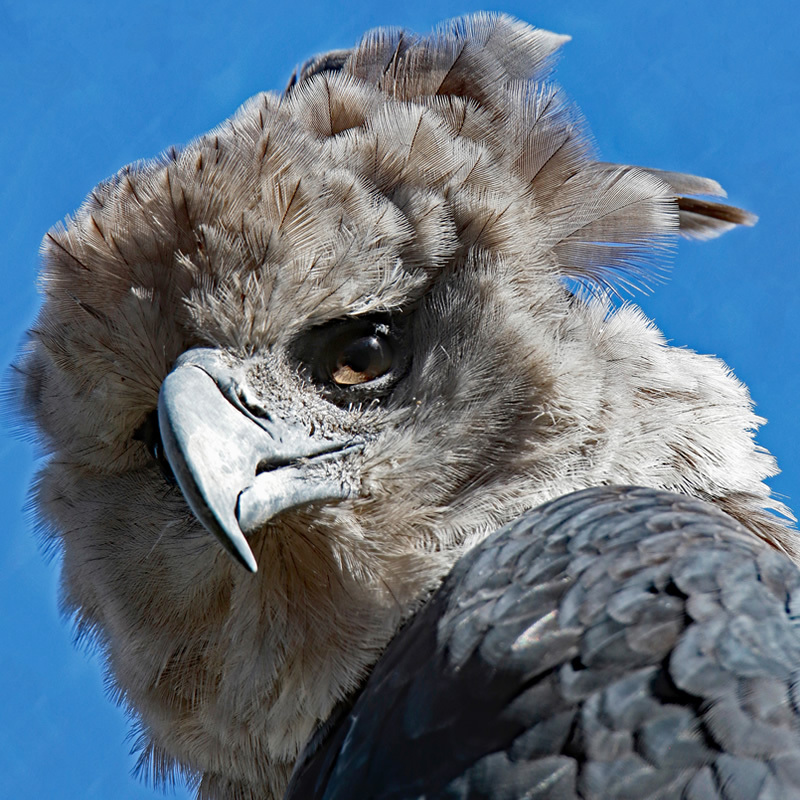 The Harpy Eagle can be found in and near the rainforests of Central and South America. The diet of the Harpy Eagle consists of sloths, monkeys, and other small mammals. The habitat of the harpy is large areas of the rainforest and the clearings next to them. Harpy Eagles will grow to be approximately 35 - 41 inches. The female Harpy Eagle will lay 1 or 2 eggs in a 2 - 3 year timespan. Only 1 of the eggs hatches and the parents raise the eagle for about 6 months.